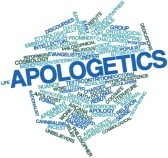 This page is intended for books which don’t belong in the other categories because they are not objective – I call them ‘apologist’ writings because although they criticize Hubbard and the Church of Scientology, they also defend some aspects of Scientology itself, which they argue are nevertheless valid. This is a common position for people who have have left (or been expelled from) the Church of Scientology after a long period of involvement. It is often followed by complete disillusionment with both L Ron Hubbard his creation. This page is also a good place to put works by people who ought to know better – academics who do not bother to check their facts, and professional writers who defend the Church of Scientology for money. The entries were chosen because they have historical, or other special significance. This book was published at the height of the Dianetics craze. Hubbard had obtained financing for the ‘Hubbard Dianetic Research Foundation” which was tasked with developing his ideas. 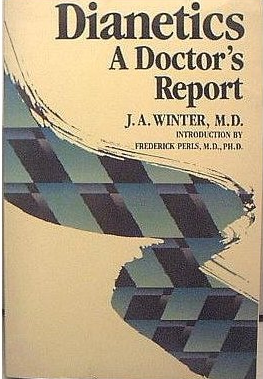 Winters, a real medical doctor, became it’s first (and only) medical director. Winter’s account falls far short of Hubbard’s claims that Dianetics was totally safe, and gifted practitioners with total recall, perfect eyesight, and the ability to grow new teeth. In the book, Winter’s maintained that Dianetics had some value as a psychotherapy for psychosomatic illnesses, and tried to support his argument by publishing transcripts of his own Dianetic therapy sessions. Unfortunately, these reveal him to leading the ‘patient’ – and the best therapeutic outcome he achieved was to (arguably) cure a mild headache. Shortly after publication, the foundation collapsed amid allegations of mismanagement and fraud on Hubbard’s part. Hubbard went on to found Scientology, and never voluntarily allowed his ideas to be submitted to this sort of scrutiny again. The Winters had already resigned in October 1950. The period 1980 -85 covers the transfer of power in the Church of Scientology from the deceased founder, L Ron Hubbard, to the new ‘leader’ David Miscavige. It was marked by dislocation and conflict, during which many Scientologists left the organisation, but continued to practice. Eric Townsend was one such ‘Independent Scientologist’. The allegations of abuse and controversies that surrounded Scientology at that time were due to the corruption of the Church under its new management. Unfortunately, while trying to appear even-handed Townsend ignores all of the freely-available information that questions the character of Hubbard and the validity of Scientology itself. This is an account of Scientology from the perspective of a ‘True Believer’ in L Ron Hubbard. Academics are not activists. Their job is to present an objective account of their object of study – to provide the truth. This makes the work of people like James R Lewis particularly galling. 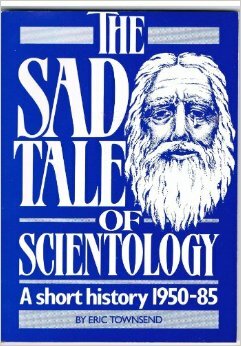 Lewis edited this book, which is a compilation of articles about the Church of Scientology – supposedly from a Sociological perspective. However, it suffers from a number of fatal flaws, any one of which is sufficient to bring its objectivity and the editors’ professional standards into serious question. On the bright bright side, this publication was so bad, it attracted the astonished attention of a popular UK satirical magazine.